Laws: First and foremost you need to know what the laws are for where you live! Many reptiles require permits before they are purchased. This is not only for the pet’s safety, but for your and the community’s as well. They get how big? Snakes especially fall under this one. 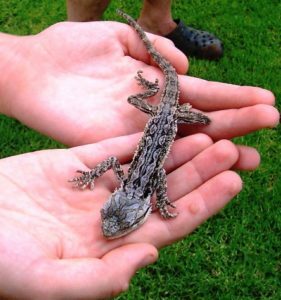 Before purchasing a reptile you should know how big they will get once they are an adult. This will help determine your capability to care for the pet. Do you have the resources to house a snake that is 6 feet long? Habitat: Reptile habitats need to be perfectly balanced. Being cold-blooded animals, they require the perfect balance of light, humidity and temperature. Not having these in balance, and the knowledge of how to regulate them, will result in a sick pet. Feeding needs: You need to be educated as to what the reptile needs in its diet to ensure it remains healthy. Make sure to do your research before purchasing a reptile. Also, always be careful when handling and feeding reptiles. Most have fangs or teeth that can seriously injure their owner. Human health risks: Reptiles carry bacteria known as Salmonella, which is easily transferred to hands, and then to the mouth or open sores. This bacteria can make you quite sick, so be sure to wash your hands thoroughly after handling your pet. Before you decide on the reptile that you want to bring home, take time to speak to a professional. 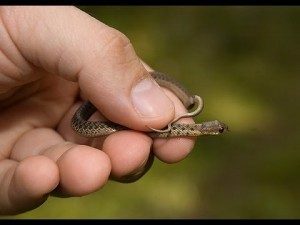 Do your due diligence in research about the reptile you want to purchase, and make sure you feel comfortable with your pet’s needs. This will ensure a safe environment for both you and your new pet for years to come.